This book promotes a positive message for people with Down syndrome across the world. Living with Down Syndrome is a positive experience for the majority of children and adults with Down syndrome, and for their families. Of course there are difficulties to be faced, but quality of life, from infancy to old age, is determined more by the quality of healthcare, education and social inclusion offered to individuals, than by the developmental difficulties that are associated with Down syndrome. The aim of this book is to bring the latest information on research and good practice to families, practitioners and policy makers in order improve the services available to individuals with Down syndrome in all countries. Monica Cuskelly is Associate Professor in the School of Education at the University of Queensland. She previously worked as a psychologist, initially in clinical roles and later as an educational psychologist. 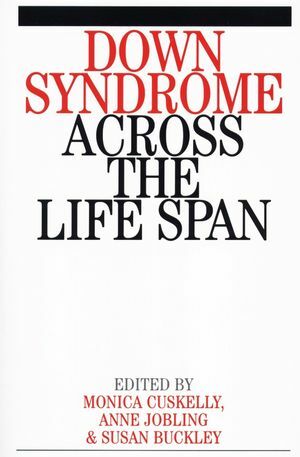 Anne Jobling is the editor of Down Syndrome Across the Life Span, published by Wiley. Sue Buckley, The Down Syndrome Educational Trust and University of Portsmouth, UK. Part One: Setting the Scene. 1 - The aspirations of adults with Down syndrome. 2 - Beyond the myths - representing people with Down syndrome. 4 - Positive families - appreciating adult children with Down syndrome. 5 - Mum, Dad, and Kids- family life. Part Two: Perspectives for services. 6 - Early intervention and support. 9 - Creating positive lifestyles for people with Down syndrome in developing countries. Part Three: Development and Education. 10 - Learning in young children. 11 - Making inclusion work. 12 - Speech, language and memory development. 13 - Developing number and money skills. 14 - Developing literacy across all ages. 16 - Self-regulation in young adults. Part Four: Adolescence and adult life. 17 - Adolescence and inclusion. 18 - Health and ageing. 19 - Life after school. 20 - Adult lives, living and working in the community. 21 - Ageing with confidence and competence.